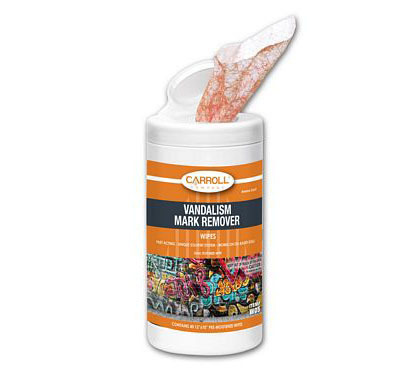 Remove graffiti from most hard surfaces with these dual textured disposable wipes. Unique solvent formula is designed to quickly penetrate and dissolve oil based soils. Removes paint, ink, lipstick, crayon, grease, shoe polish, glue, and adhesives. Safe for use on walls, floors, fences, buildings, signs, brick, concrete, stone, metals, partitions, desktops, cured paint, porcelain, ceramic and laminates Six boxes of 40 wipes.